The Nation Editor-in-Chief Femi Kusa’s thoughtless and unkind tribute to the late Guardian publisher Alex Ibru outraged my sensibilities in more ways than one. It’s a poorly written, unbearably narcissistic, petty, vindictive, and cowardly piece. Kusa was clearly not in the right frame of mind when he wrote it. This is evident from the essay's crying lack of internal coherence, its embarrassing structural deformities, its avoidably ugly grammatical errors, and its general vacuity. How could someone who is inviting us to see him as the reason—or at least one of the reasons— for the distinctive style and editorial success of the Guardian not know enough to know that there is no such word as "confusionist" in the English language (except as an alternative spelling of Confucianist, i.e., a follower of Confucius), or that the expression "he called off" should have been "he hung up," or that "inseperable" is properly spelled "inseparable," or that "sleepless" is not spelled "sleepness," etc.? (Has this man's computer's spellcheck been disabled?) I have noted several other mortifying solecisms that I don't expect from my undergraduate students. And he is supposed to be one of Nigeria's journalistic "icons"! But let's even ignore his inexcusable grammatical incompetence for now, although he earns a living correcting other people’s grammar. Kusa comes across as a coarse, mean-spirited, juvenile, and egocentric swellhead who is inebriated with an exaggerated sense of his importance and who has a fragile ego that needs constant rejuvenation through scorn-worthy self-congratulation. Somebody died, his family and loved ones are still in a state of emotional turmoil, and all that this narcissist can do is to exploit this tragic situation to construct an image of himself as the apotheosis of moral uprightness, as Nigerian journalism's nonpareil personification of morality, and as the patron-saint of "principles" who is unblemished by the faintest sprinkle of ethical dirt. And he does all this at the expense of a dead person, nay dead people (because he also savagely maligned the late Andy Apkorugo), who can't defend themselves. Let me be clear: I am NOT defending the late Ibru. I don't know enough about him or how he ran the Guardian to refute or confirm what Kusa wrote about him. But having recently lost a wife and having taught obituary writing and journalism ethics for years, I DO know that it's distasteful and insensitive to the survivors of the dead to so carelessly traduce their departed kin just days after his passing. Of course, clearly evil people who brought death and misery to large swaths of people are exempt from this consideration. Ibru, with all his foibles, hardly fits that description. I also do not want to trammel Kusa's right to free expression. My whole point is that his piece is intolerably indecent and beneath the dignity of a person of his accomplishments for at least three reasons. First, the occasion of a person's death is hardly a fitting and proper moment to draw unflattering character sketches of the person as a cold, ruthless, "unfeeling," "scheming," [Kusa's words] vainglorious, and soulless hedonist. This is not necessarily because of the person (after all the dead can't be injured in a material sense, a reason the courts have ruled that a dead person can't be libeled) but because the survivors of the departed who are at the early stages of the grieving process deserve some consideration. Showing sensitivity to the sensibilities of survivors of the dead, at least in the first few days or weeks of a death, is a basic virtue in journalistic writing. We like to say in Nigeria that it's "un-African" to speak ill of the dead. But there is nothing uniquely African about that precept; it's a universal human precept. As I once wrote here, it's one of the supreme ironies of our humanity that it is tragedies and traumas, more than successes and prosperity, that usually bring out the depth of the humanity in us. Perhaps it is because these tragedies remind us all of our own frailty, our own vulnerability, and our own mortality. Well, Kusa has bucked this enduring human predisposition to radiate warmth and tenderness, however transitory, in other people's moments of distress. 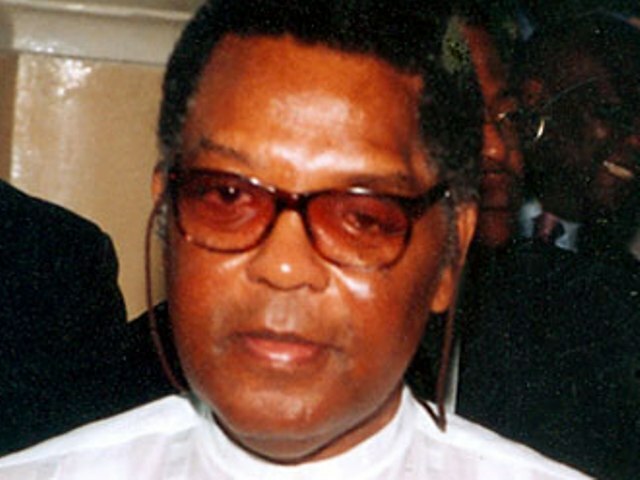 Second, why did Kusa wait till Ibru's death to write what he wrote about him? I have no facts to impeach the credibility of his character portrait of Ibru, but there is something eerily sinister about the choice of occasion to do this. It shows neither valor nor "principles," which Kusa is persuading us to believe he is an embodiment of. I was told Ibru died. Too bad. But he actually doesn't deserve to be mourned. He deserved his fate. He was a devious, avaricious, nepotistic, niggardly, and cold-blooded capitalist pig who was, in addition, given to sybaritic lavishness and opportunism. I—and others—actually made the Guardian for which he became famous. [Never mind that Kusa has not been able to replicate his “genius” in the defunct Comet and in the Nation]. He wanted to use me to further his baleful boardroom politics, but being the principled, upright, and unblemished person that I am, I resisted—to his astonishment. I finally left his company because I couldn't stand his staggeringly pestiferous intrigues any longer. I have never looked back. Look, this dead man had no redeeming qualities. Well, I hope his wife somehow finds comfort and learns from her husband’s terrible life and failings. This may seem like a grotesque caricature of what Kusa wrote, but go read the piece both on the lines AND between the lines. It’s a viciously violent animadversion against a dead person that could wait—that is, if it must be written. My concern, as it should be obvious by now, isn't about the essay's facticity. It's about its inopportune timing, its rank insensitivity, its downright cowardice, its smug, perverse self-flattery during other people’s moment of personal tragedy. I don't know what kind of journalism Kusa practiced and still practices. But he certainly hasn’t given a good account of his journalistic judgment. That’s such a crying shame! Thanks Dr.Farooq.Though it is hurt to make bad comment against the dead person,it seems the Nation Editor has suffered in the hand of Ibru.By the way,let them kill themselves,they are in the same boat.I believe if it is a Northerner writes this ungrammatical write up,Ah!They will disturb us with nonsense that we are semi-litrates. Just finished reading the writeup on Kusa's article on Ibru. Well, I did not read the original article by Femi kusa, but I took away some stuff from Kperogi's article: narcissistic, vacuity, mortifying solecisms, swellhead, inebriated, apotheosis, nonpaneil, traduce, swath, trammel, sybarit, pestiferous, facticity....OK. I know you are a prof. of English but sometimes, it's necessary to carry some of us along...especially those of us who are a little bit challenged in the Queen's language. I knew a Kperogi in Okuta, Kwara State: Are you related?